Cat litter boxes have come a long way since the simple one-pan tray. Learn about our choices for the best cat litter boxes 2018 below—in the category of Cheapest, Fanciest, and Best Overall. Or jump right ahead and purchase our favorite overall: The Luuup 3-tray sifting litter box ($49.95). Visit Luuup.com here. We have three winning cat litter boxes—our favorite cheapest litter box, our favorite fancy litter box, and our favorite overall litter box. Scroll down to read details about the winner in each category. And definitely feel free to comment and let us know if you have a different favorite litter box for any category! Now, the Van Ness Sifting Enclosed Litter Box isn’t the absolute cheapest litter box of 2018. But it’s the one that we think will give you the most bang for your buck. It receives a consistent 4/5 stars on Amazon (from over 300 customers so far), and has some of the sifting tray features that the Luuup has. It’s not fancy, but it’s not going to fall apart on you after a week. 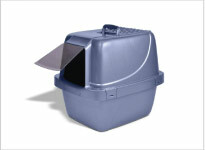 It is a sturdy plastic cat litter box that allows you to sift with two separate trays (with a single bottom piece). So there’s more work involved than with the Luup, but less than with a sift-scoop litter box. Click here to purchase the Van Ness Litter Box. The fanciest cat litter box of 2018 has got to be the Litter-Robot. They cost a whopping $449! However, you get some pretty cool features with that price tag. For one, you don’t have to sift AT ALL. It is literally a robotic kitty litter box. Think the Roomba of cat litter boxes. The Litter-Robot can tell when your cat is inside doing its business. And as soon as your cat exits, it automatically starts a little waste separation process. It takes out the clumps and deposits them into a nifty separate waste compartment. The waste compartment is nice and sealed so you won’t have any smells coming from the contraption. You need to clean out the waste compartment very rarely. If you have the bucks, this is definitely a cool appliance to have. It’d also be a really great gift for someone who loves cats but has trouble physically sifting the litter box often. Click here to purchase the Litter-Robot (link includes a $25 discount). So basically for what you get vs what you pay, we think the Luuup is the winner. It’s a tiny bit on the pricey end when you consider it isn’t electronic and it’s just a place for your cat to do it’s business. But, we think it has enough qualities to make up for the price difference. For one, the design and style definitely help remove the stigma of having a cat litter box in your house. This thing looks pretty cool. It’s not completely hands-free, but it decreases the amount of work and cleaning you have to do. 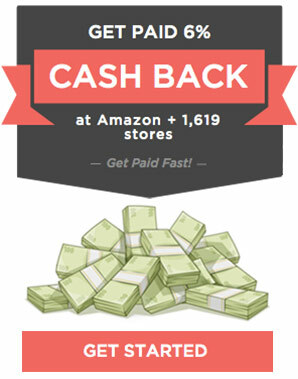 The product was originally created after a wildly successful Kickstarter campaign. And now it’s on the market, so anyone can buy one. 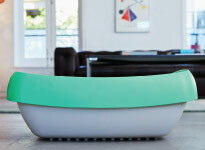 Click here to purchase a stylish Luuup Sifting Cat Litter box. 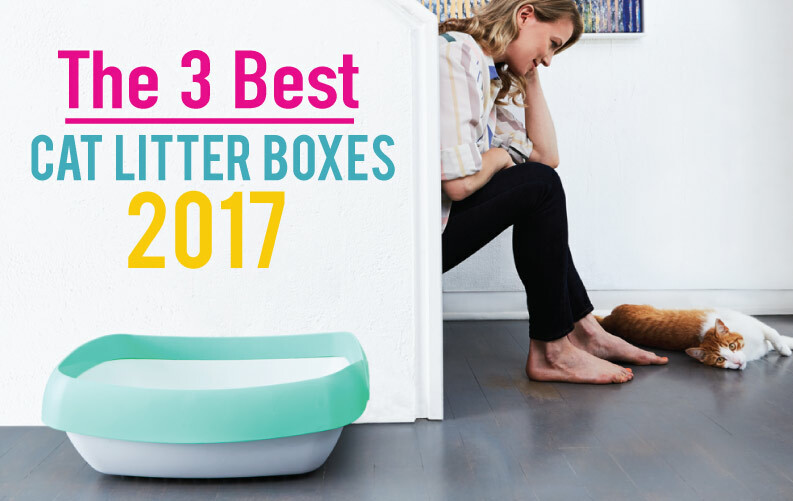 We hope you enjoyed our roundup of the Best Cat Litter Boxes 2018 has to offer. Again, feel free to add your own favorites in the comments below!